I have been working in the disability sector for a long time. My expertise is working with deafness, obviously. Mostly I have worked with people from the Deaf community. Usually these people have been born deaf or lost their hearing early in life before they had started to learn language. Many of these people struggle with English. It is not that they could not use English, rather it is that their deafness has made it difficult to learn English as it is spoken. Often they can make themselves understood in English, and very well at that, but they make significant grammatical errors. But hearing people who are not knowledgeable about the issues of early deafened individuals often pass judgement on these deaf people. They see them as slow and incapable. They see them as uneducated. Some of these deaf people are native Auslan users. Even though they are strong with Auslan they still make grammatical errors in English. Because of this they are often over looked for jobs and promotions. Often they stay at base jobs for many years never achieving promotions. Meanwhile hearing colleagues who might have been there a lot less longer pass them by. It is really unfair. I have always been very angry that the hearing world cannot overlook grammatical errors when meaning is obviously clear. To me it has always been important that a person is able to communicate what they need or want and be understood. If that can be done any grammatical errors, even spelling errors, are really unimportant. Unfortunately I am in the minority. Why do I think this way. About 10 years ago, I learned what ASL really is, I dropped my jaw and realize that it is a LANGUAGE PERIOD. ASL has its own rules, syntacs, structures, etc. Same with English language. Unfortunately Deafies just happen to use these rules naturally and not even know it. If they had knew there is such thing in ASL, they can better compare English and ASL and will always say ohhh got it… It rarely happened. What you have just read is entirely comprehensible. It is clearly written by a person who is intelligent. It is written by someone who has a good grasp of why many people who are deaf struggle with the English Language. I have highlighted in red some of the more glaring grammatical mistakes. My question is – Do they really matter? What the individuals has written is fully comprehensible. In my view that should be the only thing that we judge. and still my grammar is messed up. and all of my life… I didn’t have closed caption tv. Some of the more pedantic people who are experts in English might find other areas of this paragraph with errors. They might even say that the language use in the paragraph is immature. BUT – Does it matter? In my view NO! What matters is this person has communicated a complex concept effectively. They have done it in a way that is readily understood. We are in no doubt of their message. YET, they will be judged for this and even overlooked when it comes to applying for jobs and promotions. Sadly, the hearing world is not only ignorant of the struggles many deaf people have with English grammar but they are also unforgiving. Rather than look at the skills and the talents of the deaf person they judge them on their English grammar. Don’t get me wrong. I get that grammar is important and is often crucial to meaning but this is not always the case. What is important in the end is that communication happens and everyone is understood. That is my view anyway. But it is not just hearing people that are language snobs. There are people in the Deaf community who are too. Often times I have seen members of the Deaf community mock people over their use of Auslan. 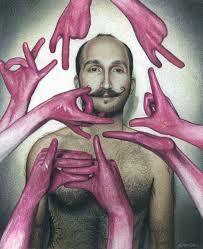 Like it or not the MAJORITY of people who are members of the Deaf community learn Auslan as their second language. There are very few PURE users of Auslan in the Deaf community. As it is with English there are language elitist in the Deaf community who will mock, ridicule and even exclude people who are Deaf who they feel do not meet their lofty standards. Most people that I know who are Deaf who sign use a combination of Auslan, English and what is known as Sim Com. Sim Com is where people speak and use sign language at the same time. Often you will see Deaf people use a sign in the wrong context. For example you have the sign for affair. Affair in English can have two meanings. One can have meaning for when a person cheats on their romantic partner, as in having an affair. The second can mean a persons or an organisations business or personal matters such as – I am putting my affairs in order or the Department of Consumer Affairs. Yet English, being the daft language it is, uses one word to mean both of these things. It all depends on context. In Auslan there are two separate signs to represent the the different contexts of the English word affair – One will be the sign to signify one is cheating on their partner and the other will be the sign for business. Yet users of Auslan quite often just use the one sign for affair. Which is the sign for cheating on your partner. So one might say Office of Consumer Affairs and use the sign where the tips of the fingers of the right hand tap the closed fist of the left hand twice. Contextually one might visualise a department where consumers are all having affairs. The point is that for many Auslan users for whom Auslan is their second language, English is never far from the surface. If I am really honest, most of my Auslan interpreters also use Sim Com to a degree as well. They do this because they know that English is my first language and by providing me with English cues it enhances my understanding. They probably adjust their interpreting to meet my requirements. Whereas if they were to interpret for a native signer they may actually use close to native Auslan. It all depends on the customer I guess. The point I make is that even with this hybrid of Auslan, English, mis-signs, broken English or broken Auslan we all manage to communicate and swimmingly at that. That is all that matters in my mind. I have worked with too many people who have been so language deprived that expressing themselves is a daily challenge. Life is too short to be worried about fickle rules that are often pointless when communication is obviously clear. I understand there is a need to preserve native Auslan in all its beauty and English as well for that matter. It would be a tragedy if the best of these languages were lost. That said, it is not an excuse for language snobbery and exclusion. 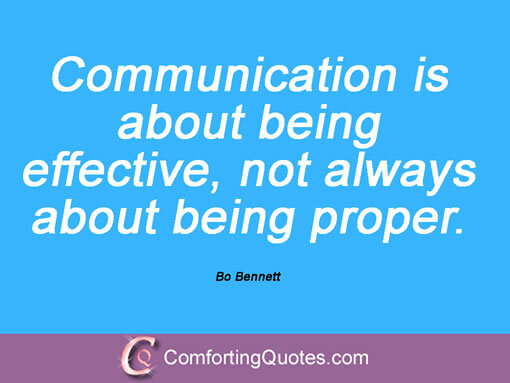 Communication is the key and we all need to come down from our high horse and remember that.